A cemetery sprinkler system forced us to retreat to the front “yard” of this church. In Starbucks I sit recovering from a growing sleep deficit. Coffee consumed, my thoughts resume. I’m about to enter Mexico. As the border grows nearer, the gravity of this crazy undertaking slows my southerly progress. Three nights spent with Charles and his family. One under the Golden Gate Bridge. One terrible night along the side of the road 70 miles south. 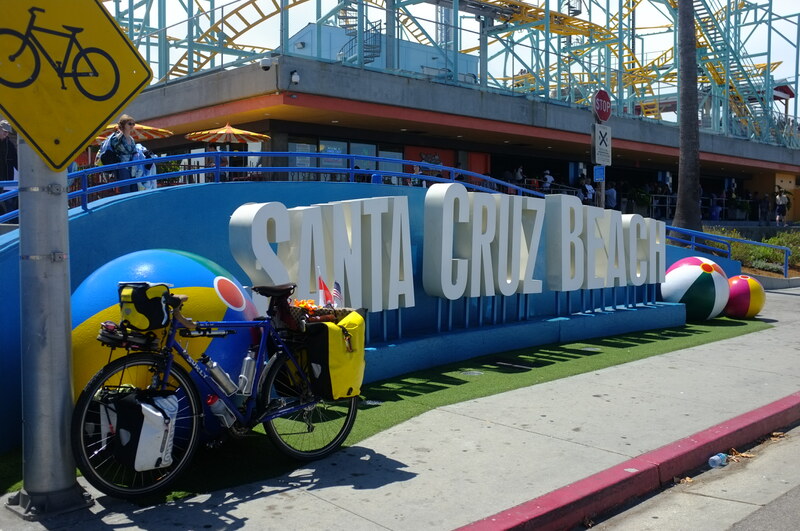 One in Santa Cruz 20 miles further south. Two nights contemplating life 10 miles further. Half-a-night in a Monterrey cemetery 30 miles south. And the other half in the front yard of a nearby church. San Fransisco is a beautiful and diverse city with a dramatic landscape. And enough cannot be said about the Golden Gate Bridge. It is a sight to behold. The weather is cool, typically in the 60’s or 70’s. Fog is an almost daily occurrence this time of year. Walking the streets, numerous languages add an exotic feel. Old cable cars traverse the city. A modern subway system whizzes below. And buses fill the void. The houses are colorful most with bubbling bay windows. 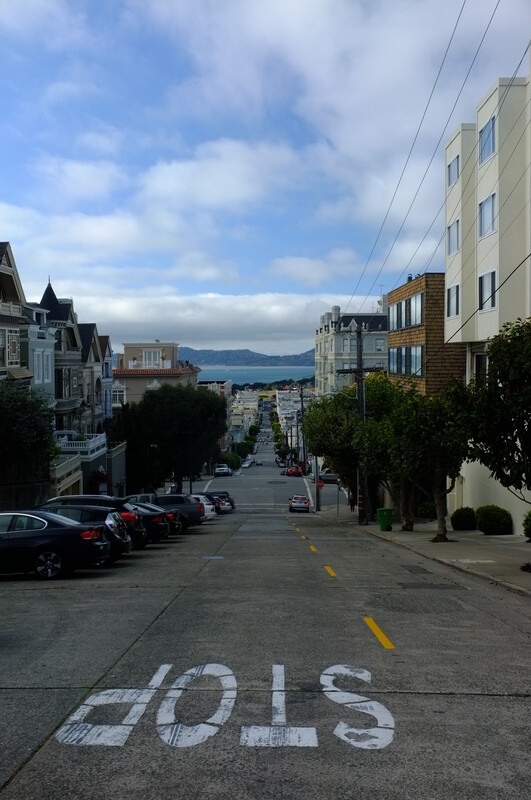 San Fransisco is VERY hilly. 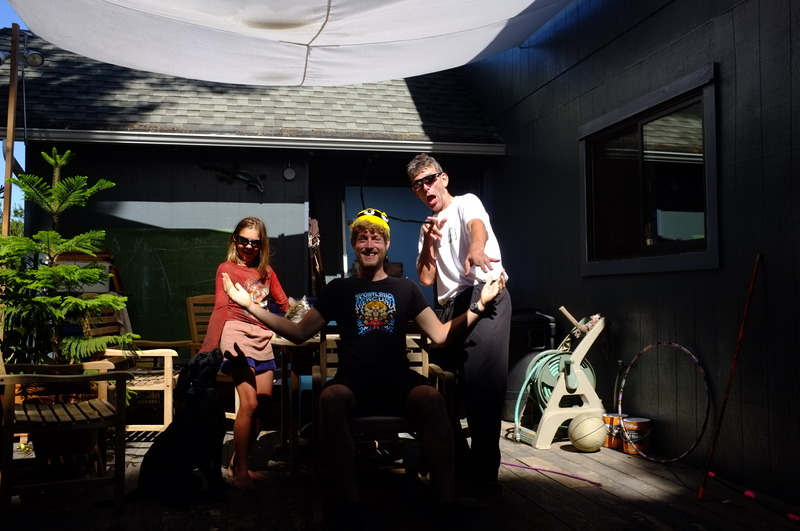 And thanks to the incredible hospitality of an Oakland family, it sits high on my list of favorite cities, though not one in which I would reside. It is simply too large and too populated and EVERYONE aggressively targets your money, even monks clad in robs. They are selling world peace. Sleeping in “the cave” – a spare bedroom in Charles’s house which light barely penetrates – I had the best nights rest of this trip. 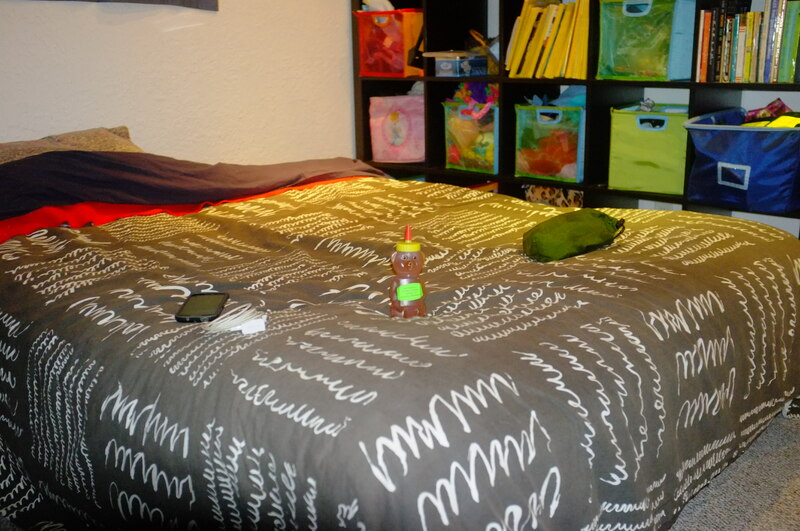 I don’t mind sleeping on the ground or in my tent, but in a bed after all this time… OMG!!! I now understand why people invest in these things. I also understand why people eat out so often. Charles treated me to all his favorite restaurants: An all-you-can-eat Indian buffet (I ate three plates of food), a burrito truck, and, my favorite food of all, Ethiopian. His wife, Izzie, treated me to a delicious home cooked dinner. Between all these meals, I was chauffeured around the bay area. 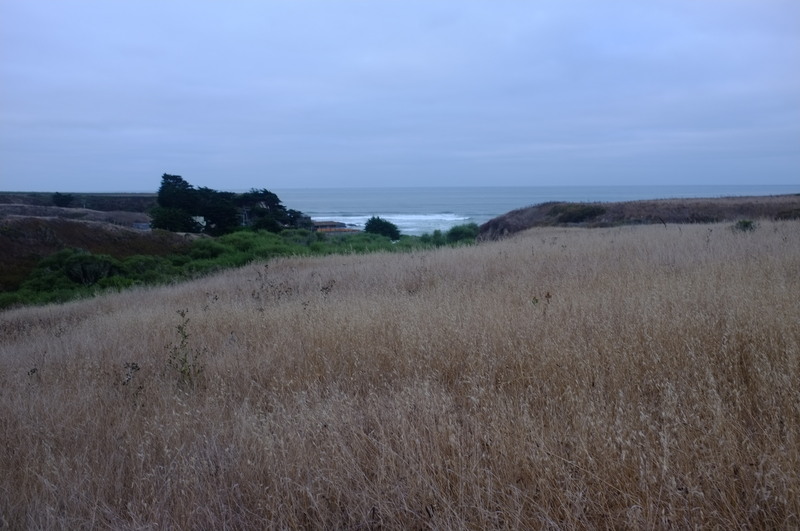 I experienced UC Berkley, Oakland, and a surprising amount of unpopulated rural farm and park lands directly adjacent to the vast metropolitan area. I also had the great pleasure of “flinging arrows” with his daughter Gabby. It’s been quite some time since I’ve shot a bow. Thank you so very very much. Charles keeps bees, hence the bee hat. Thursday morning I said goodbye to my extended family and rode the subway to downtown San Fransisco once more. I wasn’t ready to leave this amazing place. I hung out in a coffee shop and I pedaled around the waterfront. The sun began to set and yet I did not know where I would sleep. 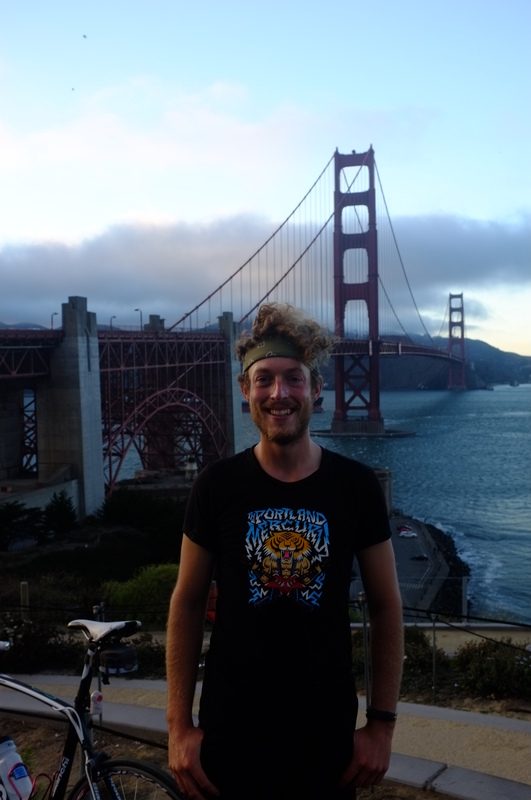 Luckily, a local cyclist led me across the Golden Gate Bridge – watching the sunset crossing the bridge… WOW- and to an exclusive campground below the infamous bridge. Here, there were only five sites and reservations are required months in advance. Unless of course, you’re a touring cyclist with nowhere else to stay! Fellow campers invited this nomad to share their fire and they reintroduced me to an old favorite camp food: mountain pies. Although, they new them by another name. An early start Friday morning, I enjoyed the most terrible headwinds of the trip for nearly five hours. Luckily, the wind shifted in the afternoon and a pleasant tailwind propelled me into the night. 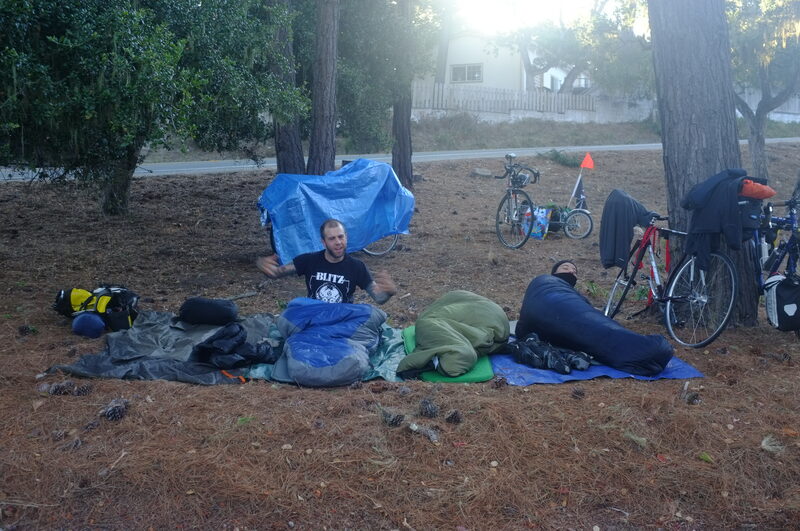 I pedalled past dark and camped on the side of the road just above Santa Cruz. Laying down in the thick bed of dried grass, I expected a mattress. A mattress I found, though one stuffed with baseballs! I’ve never experienced ground so lumpy. A vast canopy of stars made up for the poor choice of bedding material. Sadly, the mist that settled in after midnight soaked and ruined my sleep. Santa Cruz is interesting. Boasting one of the worlds largest boardwalks complete with a theme-park, the town was quite touristy. It is also an incredible place to watch people surf. A cliff face funnels large waves along its walls. Surfers ride these waves almost directly underneath the spectator. For someone who has never witnessed surfing, it was one hell of an experience. I spent the day here and camped nearby. For the next three days, I only traveled ten miles. I packed from one campsite and rode to the next where I spent two nights contemplating my existence. Yesterday, I entered Monterrey and, once again, slept very little. I met up with another group of tourers: The Broke *ss B*tches riding from San Fransisco to LA. We ate lunch while watching otters and seals play in the tranquil blue waters of Monterrey Bay. Then we enjoyed free showers in a campground filled with super shady individuals prompting us to sleep with the dead instead. So in a cemetery in Monterrey, our sleep was not harrassed by gouls or goblins but by water. Around 3am, the sprinkler system sprang from the ground. Adam, “The Wildcard,” had the sense to keep the worst of the sprinklers at bay. He held on as long as he could buying us time to pack our belongings. We retreated to a nearby church and zonked out for a few hours alongside their sidewalk. 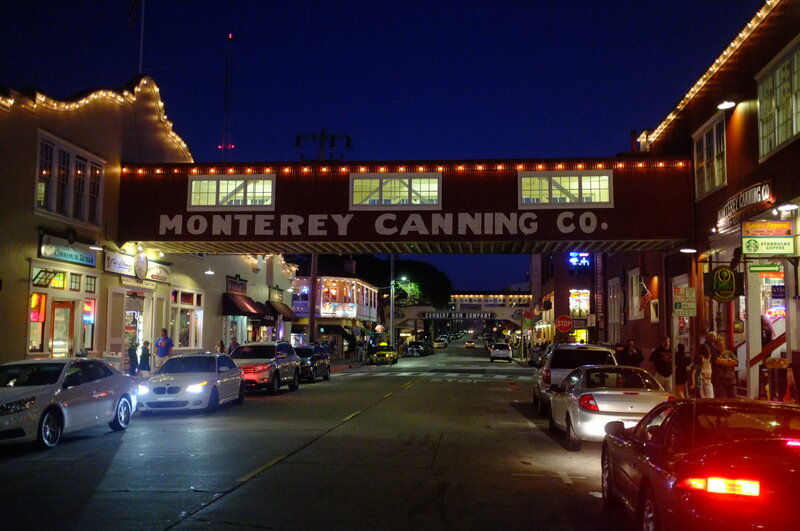 Today, Wednesday, I leave Monterrey and head towards Big Sur. I plan to spend the next few days along this iconic stretch of coast. My journey slowed to a crawl, I look forward to a break from cities to settle my resolve before plowing ahead on this epic adventure. Sleeping in a bed. Oh, the joy! 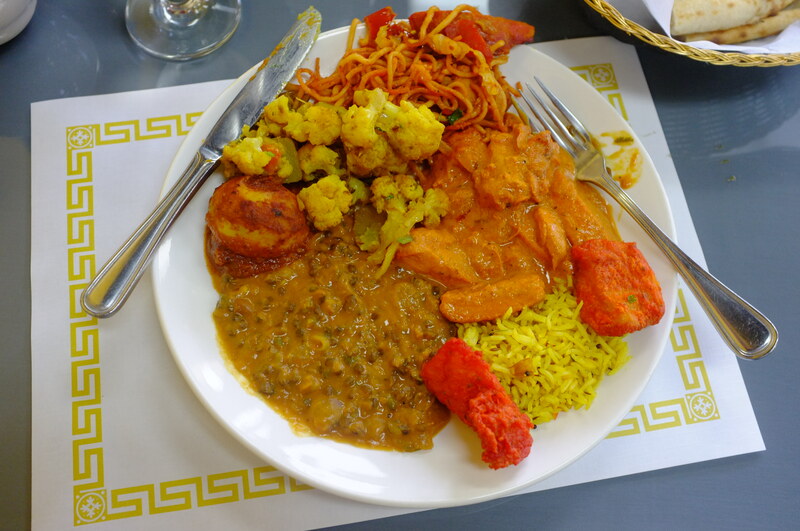 I ate three plates like this… Yea, deffinitely over did it. Worst campsite ever. Baseballs for a mattress. Safe travels through Mexico! I enjoyed the tour through California. You are amazing Ryan.i love reading of your adventures+seeing your pictures ..you are a strong adventurous guy … I’m not afraid to admit I wouldn’t make it a few days …this is a trip of a life time . I hope Mother Nature protects you and guides you. Be careful and Be safe !